Facebook is constantly changing the way it shows information, and these changes don't always satisfy its users. F.B. 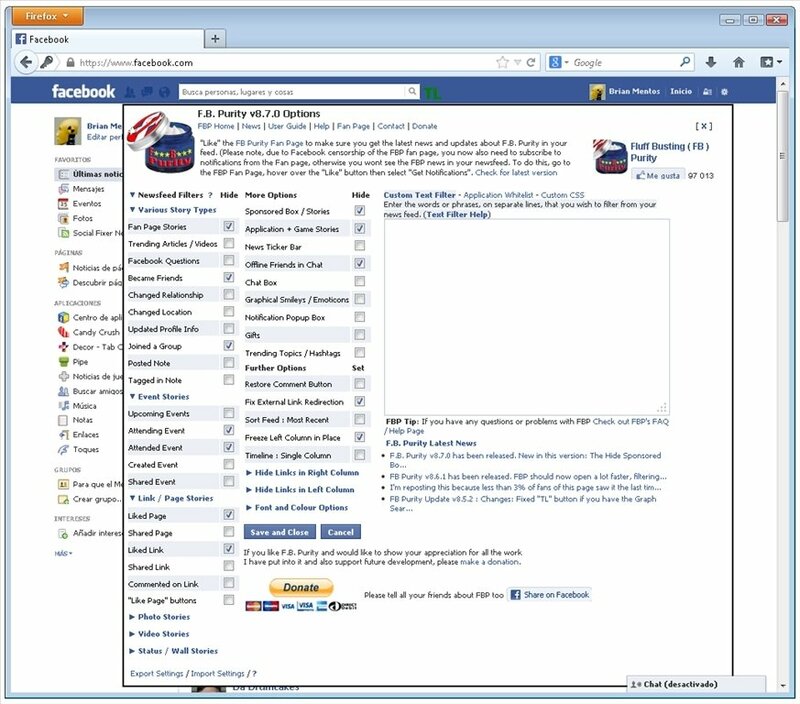 Purity is a useful add-on for Firefox with which you can choose what your Facebook home page should show and what it shouldn't. With F.B. Purity you'll be able to remove the messages of applications, such as Facebook games, hide all sorts of adverts and SPAM, notifications and any other bothersome element. Thus, you'll only view the information you're interested in. 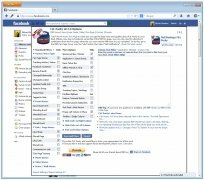 Configure the contents visible on your Facebook home page. Filter words and sentences or application IDs. Adapt the aspect of the fonts and change their colour. Receive all news about updates on the same panel. Fluff Busting Purity or F.B. Purity should become your inseparable companion on Facebook. Make sure your profile only shows relevant information and leave the rest aside.